See the long course and widely spaced hair growing around the muzzle of your dog? These are whiskers. This finely tuned and very sensitive sensory structure is scientifically known as vibrissae. Most animals have whiskers. These hairs are not just there to enhance the appearance of the dog. Whiskers serve an important function. The whisker is a sensitive organ of touch that is comparable to the human's fingertips. We commonly call, the rather long but sparse hairs that grow in the side of the nose, on the upper lip and on the chin, whiskers. But did you know that whiskers are not only found on the dog's muzzle area, but also on its forehead? The hairs above the dog's eyes are also called whiskers although these hairs are a bit shorter than the ones growing on the muzzle. Whiskers are also the first hairs that puppies grow. Except for the size, whiskers are almost the same as ordinary hair. Whiskers are more than twice as large as normal hair. The roots are also embedded three times deeper. The root of a whisker is set amidst a network of small nerves. The rich nerve supply in the follicle makes whiskers an intricate receptor. These very sensitive tactile hairs receive the vibrations in the air currents and send the message to the brain. The dog can then sense the presence of a predator or an object in its way. Whiskers are equated with eyelashes. Both send messages to the brain that makes the dog automatically shut the eyes when the whiskers are brushed against an object. This protects the eyes from being harmed. Whiskers serve as a kind of antenna that tells the dog all kinds of information. It is a good navigation tool that is especially useful when the dog is foraging at night and it is more difficult to see. 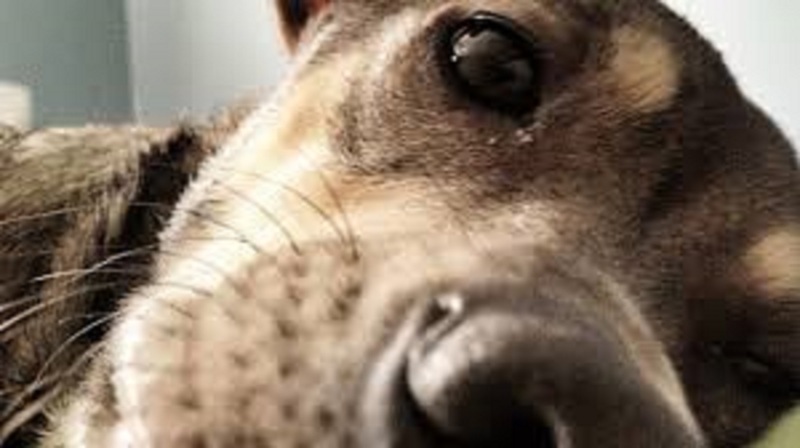 Dogs and other animals feel their way in the dark with the aid of the whiskers. Whiskers inform the dog about its surroundings. The dog's whiskers are considered to be an important hunting tool as well. Of course, dogs are known for their excellent sense of smell, but these very sensitive hairs help the dog detect prey several meters away. Dogs are diggers. They track and follow prey in their burrows. The whiskers allow the dog to know if the opening is wide enough for it to get through. Scientists also believe that whiskers are excellent mood indicators that are purportedly used by the dog to subdue and frighten a predator.